The Benefits of Electric/Automatic Gates? Security plays a large part in choosing to install an electric gate system at either your home or business premises. Electrically controlled gates are a much better deterrent to the opportunist, car thief or vandal. In conjunction with a video or audio intercom, you can control who has access to your premises from the safety of your home or office. You can effectively move your first line of defence to your gateway rather than your front door. Look at driveways with wrought iron or wooden gates. How many are left open? If one of your reasons for installing gates was for security, you've wasted your money if you can't be bothered to get out of the car to close them every day. Both metal and wooden gates can be very heavy and difficult to open and close so automating them may be a necessity for some. 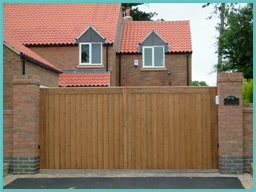 For most people opening and closing gates is nothing more than a nuisance particularly if you live on a busy main road. Freeing yourself from this chore has to be by far the most common reason for installing automatic gates. Imagine coming home on a dark or on a stormy night. Now imagine being able to open your gates from the comfort, warmth and safety of your car and then close them safely behind you, or have them automatically closing. Talking of busy roads, do motorists use your driveway to turn their cars around or worse park? Do you have children and would you prefer to keep them safely behind your gates and away from the road or people passing by? What about your dog? You can have your gates close automatically behind you so that you will never forget to close them and jeopardise your children or your pets safety. Can you automate your existing gates? Yes, but there are many factors to consider such as the strength and state of repair of your gates and posts or pillars. One of the most important factors is the hinge geometry as the automation equipment has strict parameters of performance. 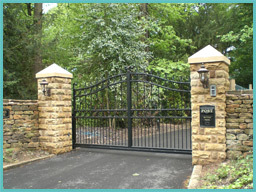 Automating gates is a skilled task and you should always seek professional advice. 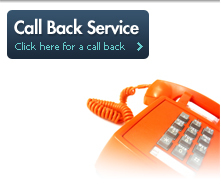 Call us on 01623 633241 where a member of our team will be happy to talk this through or arrange a FREE, NO OBLIGATION QUOTATION. You have many options available to you, the decision about which system to choose is partly aesthetic, partly about conditions at the site and the size of your gates, partly of course cost. Can your gate swing or slide? We can arrange for one of our skilled representative to call and carry out a site visit, discuss the options with you and advise you on the best option to meet your individual requirements. We will then provide a free, no-obligation quote.